Love those pink boots! Now, if only they made a matching set of four small ones, lol! The Staff loves those pink boots!!! You need matching pink boots pretty Ruby! We agree with Brian, Ruby needs matching pink boots! But where are you in that perfect match??? Those boots look good enough to chew…. Great pictures and great subject. Sure are good looking pink boots and we agree that Ruby you need some matching pink shoes..
Ruby, I am going to persuade Gail to get a pair of pink boots like that. They are just grrreat, and they would perfectly match the (very masculine) pink light I wear on collar in winter.Toodle pip!Bertie. Great pictures. I love seeing the world through a dog's eyes. 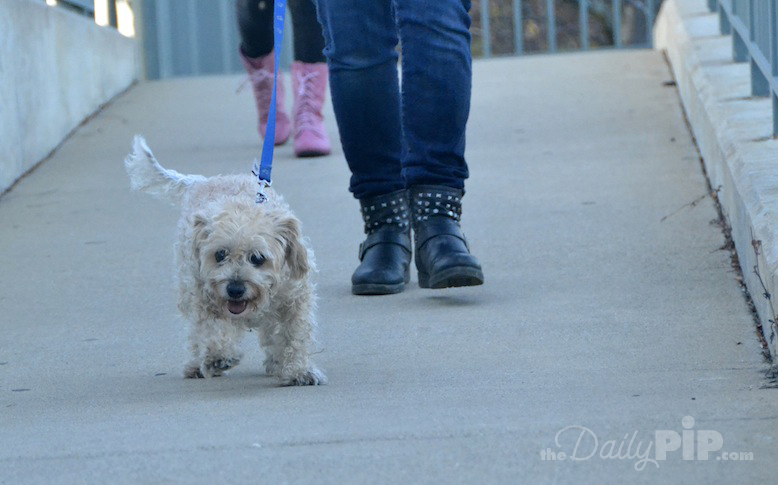 OMD, those pink boots are just the coolest ever! Love those boots and these photos—so cool! These photos are so sweet! :o) Mommy's favorite colors are pink and black together! You look good against that pink, Ruby…I think it's very much your color! What a fun series of pictures! Those are awesome photos! I love the pink boots too. We love, love, love these pics, Ruby! And we love YOU, too! 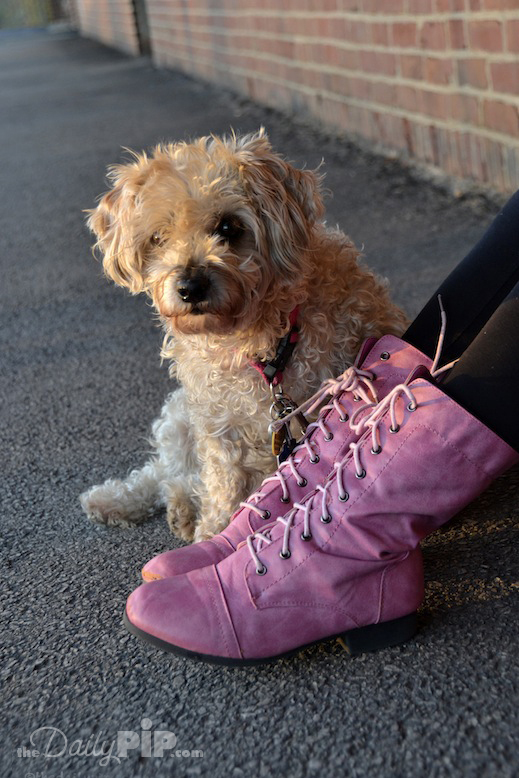 Lady Shasta here – Oh yes dear Ruby, you SHOOD haf sum pink bootz too!My mom LOVEZ thoze pink bootz – she wantz a pair. Very stylish. Love those boots! Omg, I love those pink boots!ღ husky hugz ღ frum our pack at Love is being owned by a husky! I love the new blog layout, especially the header! Those pink boots are so cute, as are the black ones. I just bought myself some black boots a couple of weeks ago. I've yet to wear them. Love those pics. The contrast looks great. Oh Ruby what a great photo shoot! Love your big smile in the last one!